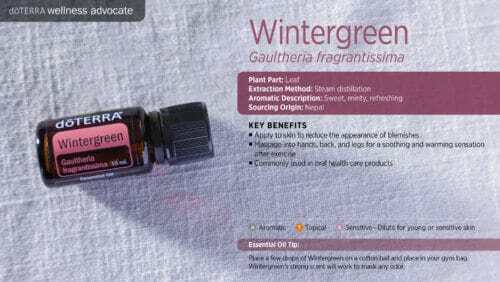 Here you can learn about doTERRA wintergreen essential oil uses with recipes. I explain all about wintergreen and all the ways you can use it and how to use it. 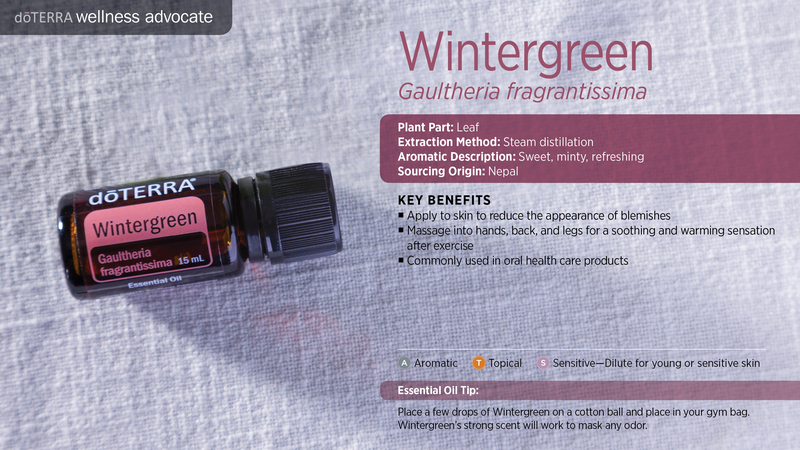 As part of the doTERRA Co-Impact Sourcing® initiative, Wintergreen essential oil is sourced in rural regions of Nepal. 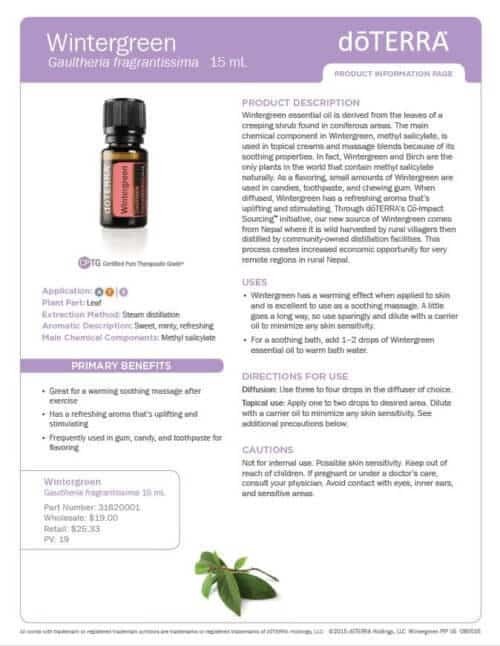 The minty Wintergreen oil is extracted from the leaves of a creeping shrub and contains a unique chemical component called methyl salicylate. This chemical contains strong soothing properties and naturally occurs in only two plants worldwide—birch and wintergreen. Because of its distinctive natural constituents, Wintergreen oil is treasured for its topical benefits and is commonly used in lotions, creams, and oral hygiene products. The soothing sensations of Wintergreen oil also make it an ideal component for massages. 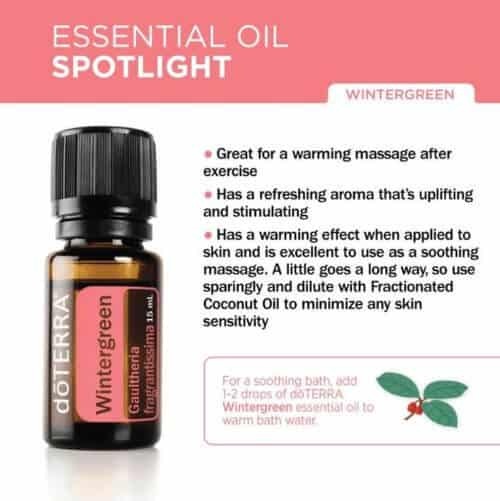 Wintergreen essential oil has a prominent scent that is sweet, minty, and refreshing. This aroma can be both uplifting and stimulating to the senses. Bring the freshness of Wintergreen into your home by placing a few drops of Wintergreen oil into your diffuser. The scent of Wintergreen ushers in the clarity of the open outdoors while adding the sweet, minty smell of evergreens. Along with its clean aroma, diffusing Wintergreen oil will help promote an uplifting and stimulating effect on the senses. Trying to mask unpleasant odors? You’re in luck! Wintergreen has a very strong and pleasant scent that will work to cover up powerful odors. Next time you go to the gym, place a few drops of Wintergreen oil on a cotton ball and place it in your gym bag. This will mask the smell of sweaty gym clothes with a sweet and minty aroma. After a long day, take some time to relax, and pamper yourself with a Wintergreen bath. 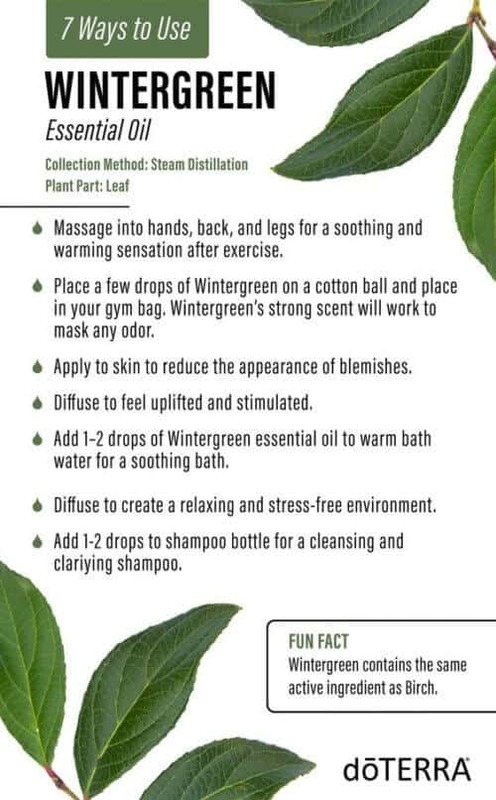 Simply add 1–2 drops of Wintergreen oil to warm bath water and enjoy the soothing sensations of Wintergreen. The Wintergreen oil will help to soothe the body, and its aroma will have a positive and uplifting effect on the mind. Skin blemishes—everyone gets them. However, sometimes they can cause you to feel embarrassed or vulnerable. 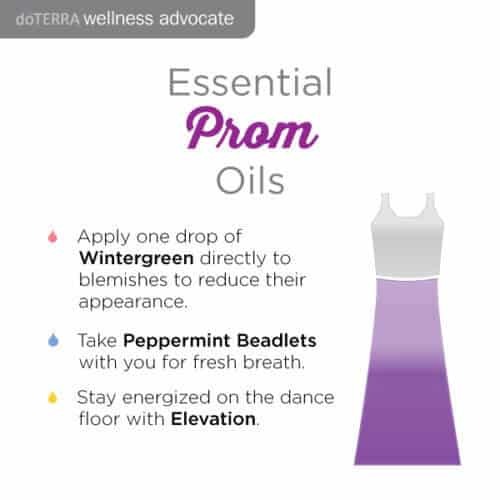 Get rid of that self-conscious feeling by incorporating Wintergreen into your daily routine. Apply Wintergreen to your skin to help reduce the appearance of blemishes and feel comfortable and confident in your own skin. Is life wearing you down? Try this comforting blend to ease anxious feelings and promote relaxation. Chase away frustration with its ability to evoke feelings of tranquility, balance, peace and positive thinking. 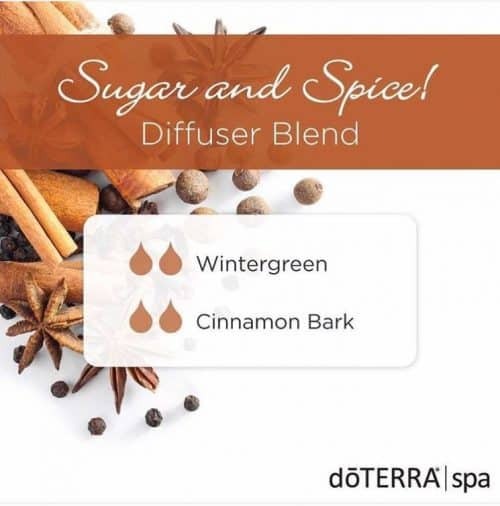 Put this blend on a piece of cloth, or a portable car diffuser for a balanced mood during your morning commute! Looking for the end of your rainbow? Try diffusing this blend in your home to positively affect your mood and encourage productivity. This combination of oils gives a peaceful and meditative aroma while cleansing the air and leaving you feeling nourished and rejuvenated. It helps with focus and feelings of mental positivity and clarity. I’m not familiar with wintergreen essential oil.